Land Rover has integrated ‘Tile’ – a smartphone app that helps to prevent users from losing essential items – into the updated Land Rover Discovery Sport. 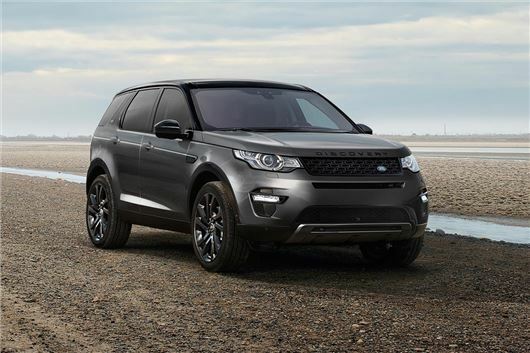 Land Rover has also made some minor styling tweaks and has added new infotainment and driver assistance technologies. Order books for the updated car are open and prices start at £31,095. The implementation of Tile gives owners the option of attaching small tags to items like wallets or keys, which can then be tracked from the in-car screen, or via their smartphone. The Tile app and tags are already available for smartphone users, but this is the first integration into a car. Land Rover has also added a new ‘Graphite Pack’ which includes a dark grey grille and vent surrounds, a contrasting roof and black door mirror caps, along with 19-inch wheels. It’s available on SE and SE Tech variants. Another option is an upgrade to InControl Touch Pro, an infotainment screen with a larger 10.2-inch touchscreen that uses smarphone style controls, including pinch to zoom. It’s more responsive than the standard 8-inch touchscreen thanks to a solid-state hard drive and a faster quad-core processor. Finally, there are three new driver safety systems on offer. Driver Condition Monitor alerts the driver when it believes they are drowsy, Intelligent Speed Limiter uses road sign recognition to vary the speed limiter to suit the road and Lane Keep Assist actively tries to keep the car in its lane on the road.